The world watches as many regions of Greece burn in HORRIFIC WILD FIRES. The most innocent victims of all are the ANIMALS, many of whom have been caught in these horrific blazes - BURNED, INJURED & SUFFERING. YOUR DONATION is desperately needed for these poor souls. 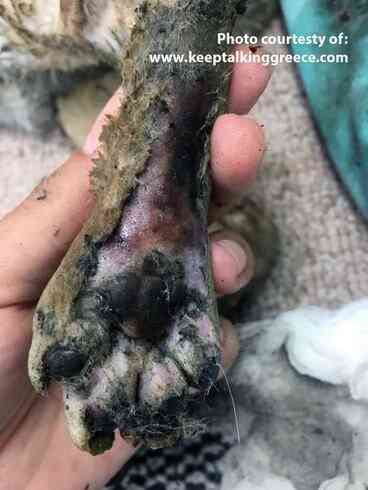 Funds raised support the rescue efforts of reknown local Athens rescuer - Linda Van Der Riet & "Second Chance Animal Welfare" who are providing URGENT CARE for injured dogs & cats. 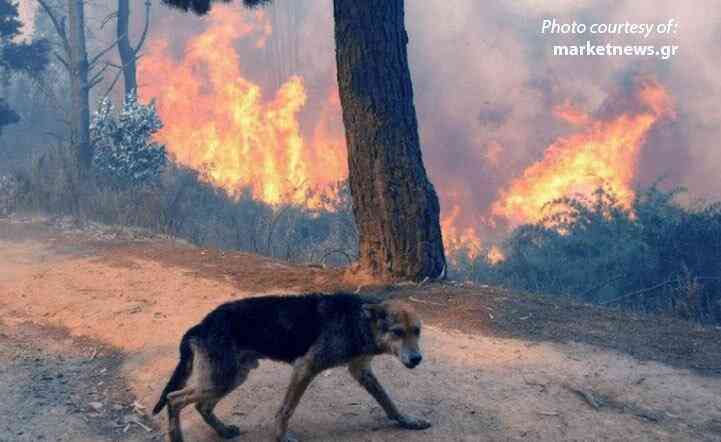 Please SHARE this fundraiser with your friends, the animals affected by these horrendous fires really do NEED your HELP! Your donation however small is greatly appreciated & urgently requested to enable food, transportation, treatment & emergency care/fostering of these very frightened & traumatised souls. Greece has many stray animals with no-one to care for them. Now more than ever they need YOUR HELP! Please also bear in mind that many of these animals may be displaced pets - disorientated & lost during the fire. Please give if you can. Thank you. 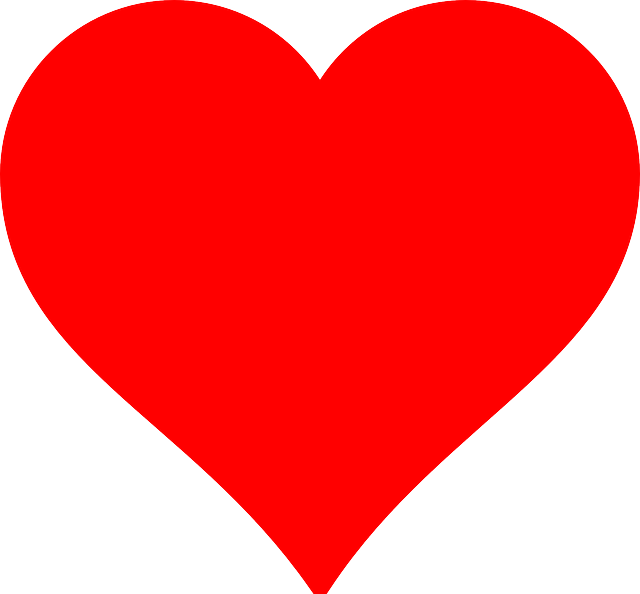 Thank you again to the amazing response to our Fire Fundraiser. So far we have more than doubled the target amount, raising over $3000USD. The fundraiser is open for a few more weeks as the plight of these animals continues. So if you would like to donate again or share this fundraiser with your friends, we'd be incredibly grateful. 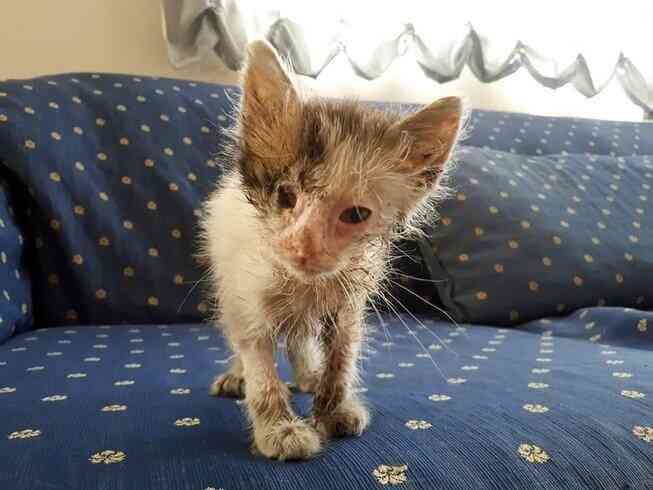 We are splitting the funds raised between SCARS and local Athens rescuer Linda Van Der Riet, both whom are involved in rescuing & caring for the fire victims - both dogs and cats. 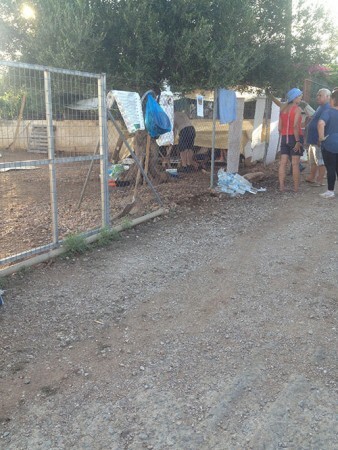 A portion of your donations have just been sent to Athens to urgently provide DOG HOUSES for fire victims. 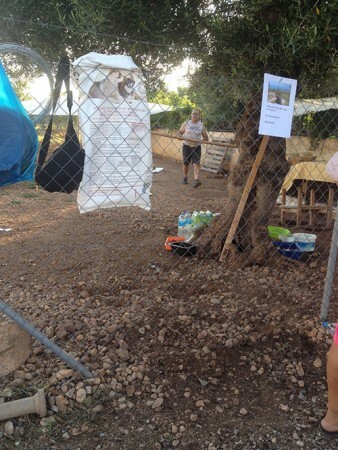 In a place called Kinetta there is a rescue woman - Aristea who is trying to make a temporary shelter near the train station for fire affected animals. SEE PHOTOS. 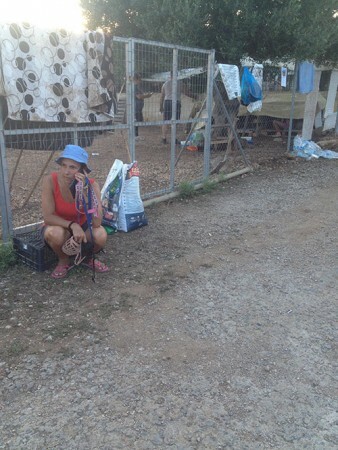 Due to the fires Aristea cannot live at her home and she is helping many dogs who lost their homes fleeing from the fire, or dogs that have been traumatised by the fires and suffering shock. She desperately needs dog houses/boxes to protect the dogs & give them all a "safe place". We will soon have photos of the dog houses and the animals. Linda Van Der Riet is in the process of organising fire victims to be transported to her sanctuary. We will have photos shortly. Thank you again to everyone who donated, we are so very grateful for your help. 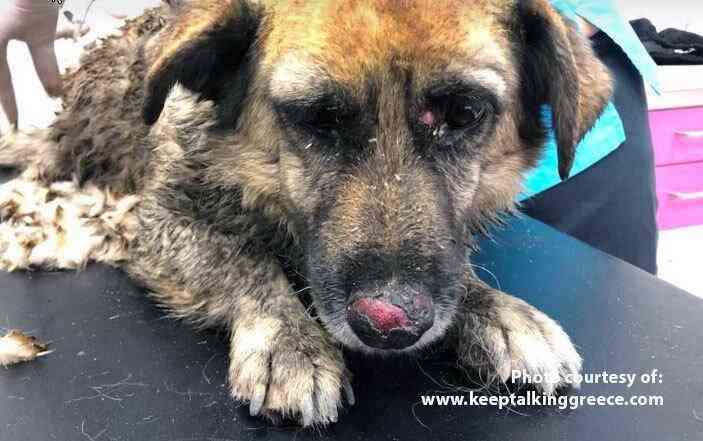 I’m helping "K9Aid" help this sweetheart get better. Please help too by donating or sharing with others. Thanks! I just made a donation to "K9Aid" to help this sweetheart get better. Please help too by donating or sharing with others. Thanks! Your generous donation goes directly to the PayPal account of K9Aid, less PayPal processing fees. GivingGrid.com does not take a fee from K9Aid. It's free to them.You do not need a PayPal account to donate. 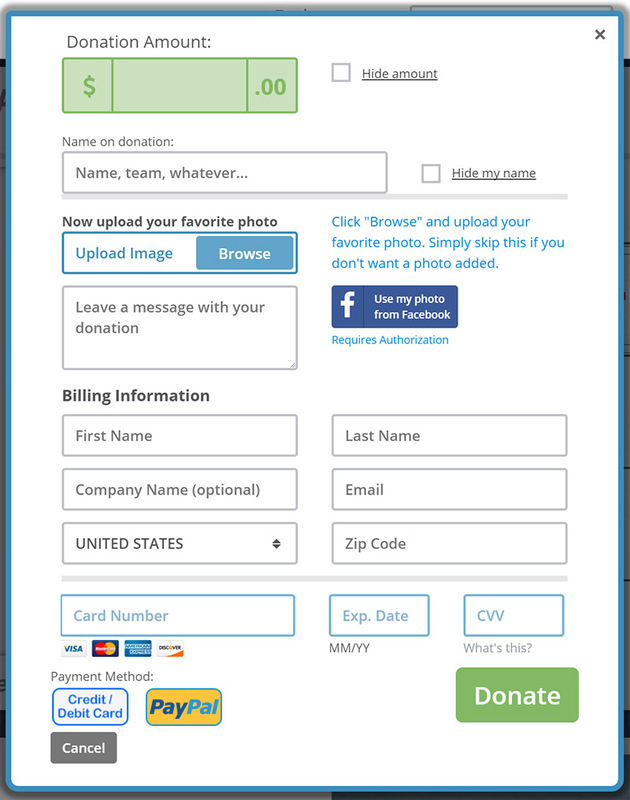 Please help a little more to support GivingGrid's operating expenses and keep the service free to K9Aid. Why? Unlike most other services, we don't charge K9Aid any fees. It's free to them.